Recently, I was in a serious funk. Here I was… this fitness/empowerment chick who was making a living helping people become their best selves, but I was strugglinggggg myself. I’m a single self employed mom. I have zero time to not be highly productive. I have zero time to feel depressed. I knew I had to dig myself out of this funk. They have a morning routine. Grab phone. Check texts, emails, facebook messages. Get up and get coffee while answering messages. In an effort for peace, clarity, focus and more highly productive days, I made myself a little 15 min. morning routine checklist. Boom. Start my day with kids and work. I’m only 3 weeks in, but the funk is gone! I’m learning that taking the time to start my day with peace and intention leads to a much more productive day and better mental well being. Everyday is not perfect. A couple of times, my kids heard me up and kind of ruined the meditation routine. I've forgotten to make my bed. But, getting a few of these things done daily, still helps! **I’m using the meditation app Headspace recommended by Tim Ferris. I’ve tried others, but I enjoy the narrator's voice in this one the best so far. 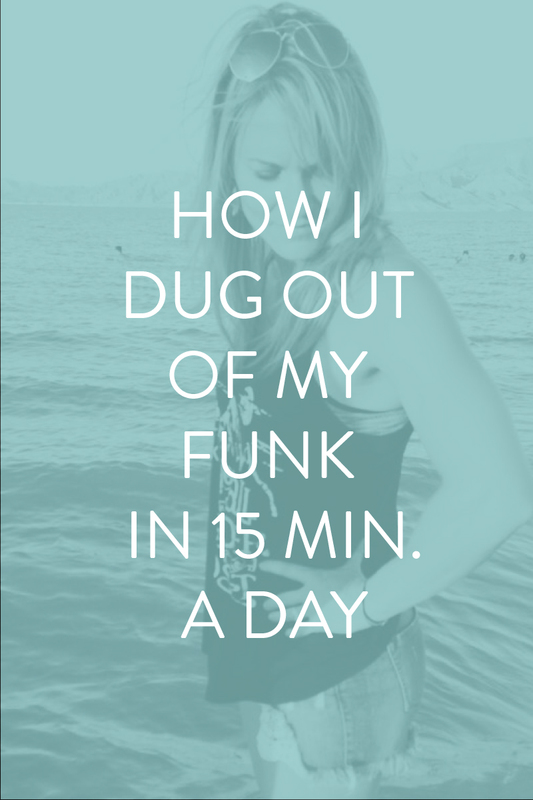 Don't waste another day in a funk! Start your own new morning routine pronto! I look forward to hearing about it.